This recommended game is currently free for PlayStation Plus members. Lara Croft and the Temple of Osiris has a “top-down” viewing perspective as up to four players can take on adventures in this quality game exclusively available by download. Our “tomb raider” Lara also has a rivals and ancient evils in her midst as develop Crystal Dynamics and publisher Square Enix craft this sequel to the 2010 Lara Croft and the Guardian of Light. Three main points here. First, learn the controls schemes. Then practice them. Then master them. It’s the first thing to address to truly enjoy this game. Second, Lara’s adventures go much better with friends – up to four online or locally. Third, it pays to get a little help from your friends. Joining online games gives you the progress of the host player, so your single player experience can really get a jump-start on overall progress. 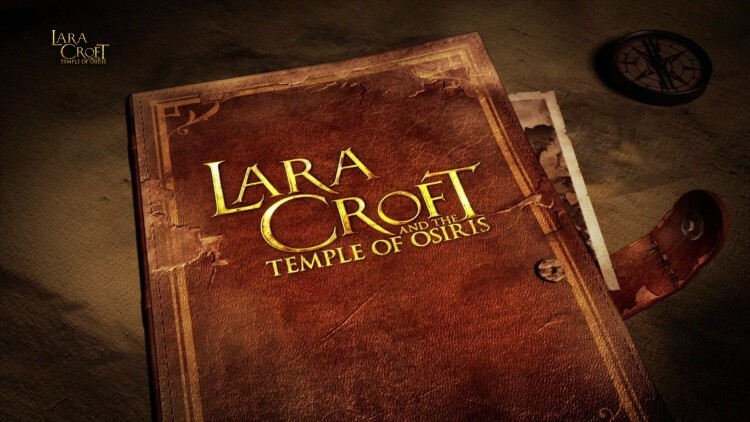 Lara predictably encounters her own competition in rival archaeologist Carter Bell as the background story concerning Egyptian myths and family feuds fills in the other two characters for the four player co-operative gameplay – Isis and Horus who have some unique powers. The evil god Set is the main antagonist through this basic, but mildly appealing story that does not do much to develop Lara Croft’s character, which is uniquely different from most female game characters. Keeley Hawes returns from the previous installment in this series for the voice acting of Lara Croft, which is equally strong and appealing as gameplay for this famous main character who gets loads of weapons like the famous dual pistols, grappling hook, bombs, grenade launchers, and others. No bow and arrow this time. The biggest upgrade is a magical staff that shoots powerful beams. Ammunition is endless, so players can always fire away at rivals, the environments, and other areas within the environments to gain power-ups and other items. Some items have varying properties so players must learn them to make the most beneficial combinations. The control scheme is unique, but simple. It includes the standard left stick for movements and R2 button for shooting weapons, Players use the directional buttons to cycle through weapons. Players will have a learning curve to master the right stick for aiming and special actions. Developers create enough variety, surprises and excitement plus players can learn as they battle with a helpful in-game tutorial system. The puzzle solving challenges work better with multiple players, which encourages co-op mode gameplay, but single player campaigns are definitely not forgotten here as the game adopts the gameplay to the current player count. Adjustable gameplay is a huge, considerate benefit for players. Teamwork, quick reflexes, and open exploration definitely can help the overall cause in challenges and boss battles. The top-down perspective views limit the camera options. Graphics are strong enough to see the details while the game also requires patience. A “smash and grab” approach won’t always work, so players have to adjust their strategy to each situation the game presents. The “smash and grab” strategy does work with item collection due to the limited views and immovable camera, which also occasionally creates more challenging movements, especially jumps. Developers use some color and contrast to help players distinguish key elements while the musical score from lead composer Wilbert Roget, II is pretty basic. Community challenges help bolster the online/offline multiplayer gameplay, which really boosts the replay value to a high level. Players can always learn from each other’s actions. The drop in/drop out format works well, but even the minimal delays can get a bit tiring because there are so many changes. The two biggest examples are the changing player rosters and host selections. The changing rosters can get annoying because many players are trying to find that perfect crew that can get them through the game furthest. Players definitely want that perfect host who has the most progression through the game. This reviewer found a nice progression jump right away. A great addition to the Tomb Raider game series and a welcome co-operative game. This quality game bolsters the franchise as well as the top down perspective action adventure game genre. Developed by Crystal Dynamics and published by Square Enix,Lara Croft and the Temple of Osiris is also available on PC and Xbox One. Additional content for this game is available and the Season Pass includes “Icy Death” and “Twisted Gears” packs plus an exclusive content pack including costumes, treasure and weapons. The recommended Lara Croft and the Temple of Osiris (*** out of four stars) is also available with the Season Pass.